Super Savings Item! 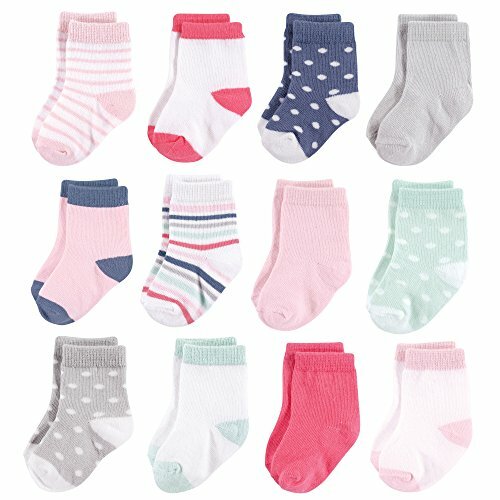 Save 34% on the Hudson Baby Basic Socks, Pink, 6-12 Months by Hudson Baby at Baby Clothes Favorites. MPN: 54043M-005-6-12 MS. Hurry! Limited time offer. Offer valid only while supplies last. Hudson Baby basic 12 pack socks are the perfect addition to your baby's wardrobe. With a value pack of 12 socks, they will get you through the week. Hudson Baby basic 12 pack socks are the perfect addition to your baby's wardrobe. With a value pack of 12 socks, they will get you through the week. Crew socks design rises above ankle to help sock stay on! super soft cotton blend is gentle on baby's little feet as well as functional.